According to the Illinois State Police’s (“ISP”) Facebook page, the department is focused on cracking down against drivers who violate the “Move Over” or “Scott’s law.” Enacted in 2017, 625 ILCS 5/11-907 (C), requires drivers drivers slow down, move over to another lane and proceed with caution if a car is stopped on the shoulder. According to the Facebook post, in emergency situations where vehicles are stopped on the side of the road, the ISP may be placing an extra trooper near an accident to catch people who don’t follow the law. The trooper may be hiding in front of the stopped vehicle or behind another trooper vehicle, making it look like backup. Violators of the statute will face a minimum of a $100 and up to a $10,000 fine, depending on the severity of the violation. For example, if the driver fails to slow down or switch lanes and then injures someone or causes property damage, then they will face a much higher fine. The ultimate fine is up to the discretion of the judge as there is no sliding scale written in the statute. The law was enacted in honor of Lieutenant Scott Gillen of the Chicago Fire Department was struck and killed by an intoxicated driver while at the scene of an accident. Please take caution when you see a vehicle on the side of the road, not just because you will avoid a ticket, but because you could avoid causing a major traffic accident. If you or a loved was injured in a serious Chicago car crash or Chicago truck accident, then call Chicago personal injury lawyer, Aaron J. Bryant, for a free legal consultation at 312-614-1076. CBS Chicago reported recently that the Illinois State Police’s (“ISP”) effort to crack down on traffic violations over the busy Memorial Day Weekend led to 5,924 traffic citations and 5,206 written. I think these numbers are encouraging, especially as it was predicted that this year would be one of the busiest traffic weekends of the year. Regardless, I would like to see how many of those citations were for distracted driving. Also, I would like to see the Illinois accident numbers compared to those over the last five (5) years. I think this would provide us some context as to whether the ISP’s enforcement efforts are actually reducing the number of traffic accidents. If you or a loved one have been seriously injured in an Illinois car crash or Illinois truck accident, then call Chicago personal injury lawyer, Aaron J. Bryant, for a free legal consultation at 312-614-1076. Illinois State Police along with hundreds of local police agencies around the state implemented the “click it or ticket” campaign, which ran from May 11 through May 25. This time of year officially kicks off the busy traffic season. I did a little research about this program and it was interesting to me to see that the main purpose, according to the Illinois State Police, is not to merely hand out tickets and collect money. The mission of this program is to influence people to buckle up and prevent injuries and traffic fatalities. The weather is much nicer but there a many more drivers on the road this time of year. To me, it has always been a no-brainer to wear your seat belt. It shouldn’t matter what time of year or if there’s an increased chance of receiving a ticket. It could actually save your life or at the very least prevent a serious injury. Summer is upon us and travelling season typically picks up around Memorial Day week. There a lot of travelers on the road beginning that weekend and the Illinois State Police are responding. In a press release, the department announced that officers will conduct special traffic enforcement patrols –referred to as “sTEP” between Tuesday, May 12, and Sunday, May 24, in LaSalle County. The troopers will concentrate on speeding, failure to use occupant restraints and other driving offenses as part of their enforcement efforts. The sTEP program involves a combination of increased enforcement and public information designed to raise public awareness and compliance to all traffic laws. According to the press release speeding is a contributing factor in 31 percent of all fatal crashes nationwide. In Illinois, speed-related car crashes account for over 40 percent of all traffic fatalities. I would imagine we will see multiple traffic enforcement programs from state an local police over the Memorial Day weekend, which could include DUI stop zones and extra awareness on distracted drivers. As the weather gets nice there are a lot more of us out on the roads, so be safe. We were kind of lucky this winter in Chicago. December and January were fairly mild and we didn’t see a lot of ice or snow. That changed last week when the area was hit with what some are saying the 6th largest blizzard in Chicago history. Up to nineteen (19) inches of snow fell in certain parts of the metropolitan area. With winter weather can com treacherous driving conditions. There is snow to deal with along with black ice and the resulting pot holes (though the city seems to be taking better care of these this year). The Illinois State Police have posted on their website some useful tips on how to prepare for winter driving and what to do in case you are stuck or have car issues. Be careful the rest of this winter season and remember if you or someone you love has been seriously injured in a Chicago car crash or Chicago truck accident, then call Chicago personal injury lawyer, Aaron Bryant, for a free legal consultation at 312-614-1076. Kyle during a 24 hour period throughout the state. they see an emergency vehicle. car accidents while on the highway. Aaron Bryant, for a free legal consultation at 312-588-3384. On February 4, The Illinois Department of Transportation announced its new impaired driving campaign with the Illinois State Police. The program is titled Buzzed Driving is Drunk Driving. The timing of this campaign is an attempt to prevent drunk driving during Super Bowl weekend, which is notorious for football fans being out and about at various parties and watering holes. Remember to be careful on the roads this weekend. If you or someone you know has been involved in an Chicago car accident or Chicago truck accident or have been charged with a DUIor another traffic violation, then call attorney Aaron Bryant for a free consultation at 312-588-3384. The Illinois State Police have announced that they are going to increase their patrols over the holiday season to hopefully decrease the number of car accidents throughout the state. Many departments are participating in a statewide initiative called Operation Save 100, aimed to decrease by 100 the number of vehicle-related fatalities in Illinois until Jan. 31, 2010. “We’re going to do some saturated seat belt patrols, and we will be concentrating on various violations,” Spring Grove Police Chief Tom Sanders said. He said increased seat belt use would safeguard travelers against winter weather conditions, as well as drunk or aggressive drivers heading home from holiday parties. “When the conditions are icy and bad, it’s even more important,” Sanders said. On the night before Thanksgiving, the McHenry County Sheriff’s Office would conduct two initiatives, one that focused on seat belt and car seat use and another that would target drunken driving. The sheriff’s office is teaming up with Huntley Police and the Illinois State Police for the drunken driving enforcement. Sheriff Keith Nygren credited such enforcement initiatives with contributing to the declining vehicle-related fatality rate in the county. “Focused and intense traffic enforcement can make a difference, … and that is what this is all about,” he said. Please be careful when driving over the holidays. There are a lot of crazy drivers out there and the roads can be treacherous. 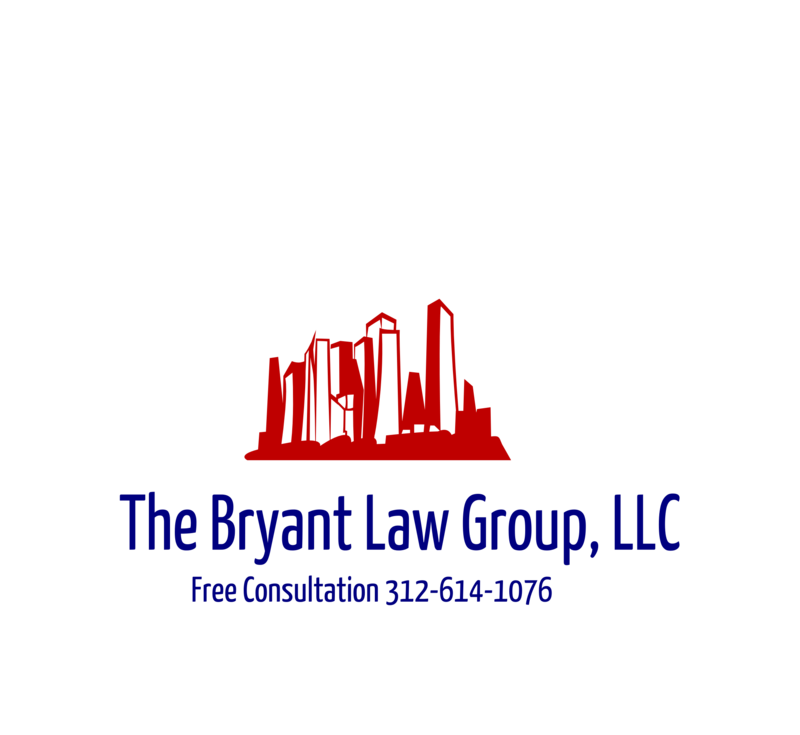 If you or someone you know has been involved in a car crash or truck accident, then contact attorney Aaron J. Bryant for a free consultation at 312-588-3384.